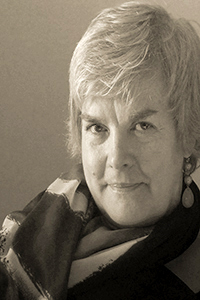 Susan Grimm is the author of one collection of poetry, Lake Erie Blue (BkMk Press, 2004). She is the author of two chapbooks, Roughed Up by the Sun’s Mothering Tongue (Finishing Line Press, 2011) and Almost Home (Cleveland State University Poetry Center, 1997). She edited Ordering the Storm: How to Put Together a Book of Poems (Cleveland State University Poetry Center, 2006). Her poems have appeared in West Branch, Poetry East, The Journal, and other publications. Grimm was awarded a 1996 Ohio Arts Council Individual Artists Fellowship, won the 2010 inaugural Copper Nickel contest in poetry, and won the Tygerburning Literary Journal 2011 Hayden Carruth Poetry Prize.